Ever since his arrival in the tinsel town with his antagonistic role in the John Abraham-starrer Force, actor Vidyut Jammwal has established a niche for himself. He does incredible stunts, beats the sh*t out of the goons and make women go weak in the knees with his to-die-for looks. Now he has added another feather to his cap. 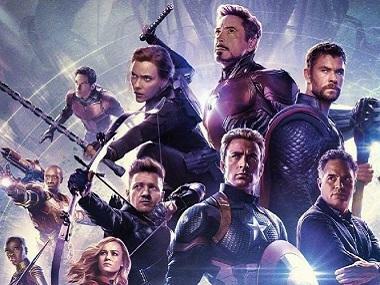 He is soon to be seen in a leading role in an action-adventure produced under the banner of Junglee Pictures and directed by Hollywood director Chuck Russell, according to a report by Mumbai Mirror. 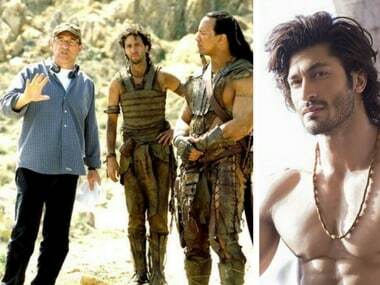 Chuck Russell directing Dwayne Johnson's 'The Scorpion King' (left); Vidyut Jammwal (right). Image via Facebook. Incidentally, this Junglee Pictures' production is also reportedly called Junglee as it would throw light about the relationship between a man and an elephant. Speaking to Mumbai Mirror, Priti Shahani, president of Junglee Pictures said, "We reached out to Chuck saying that we had a story which is set locally but could appeal to him since it touches on an issue of global significance, with the United Nations lobbying to end poaching and the ivory movement. He read it, came down to India to meet and discuss the structure with Ritesh (Shah) who has written this heart-warming story and us, agreed to direct it and will be flying in next month to start prep." About having a foreign director for an Indian commercial film, she adds, "Also, surprisingly, for an American director, he loves song and dance which will be an integral part of our commercial entertainer with a message." This action-adventure flick will be shot in the jungles of Kerala where Vidyut's character (reportedly to be named Ashwath) meets his elephant friend after a long time. They aim to target issues, during their research for the film, spanning from elephant poaching rampant in parts of Kerala, Odisha, West Bengal and all the way to Thailand. Shahani also informs that the tuskers will be an integral part of the film and that the script is being written keeping them at the centre of the narrative. She also says that these animals will not do any "tricks" and that the makers are keenly studying about the elephants and the way they behave in their natural abodes. Junglee is slated to go on floors this October and will be out in theatres by the summer of 2018.